Global energy consumption continues to grow about 1.9 percent annually as demands for electricity to power an ever-connected world accelerates. Environmental issues related to fossil fuels and nuclear energy is prompting a rise alternative energy sources such as solar and wind energy. This is why alternative energy is the fastest growing segment of the power generation industry. Solar and wind energy are viewed in the world spotlight as safe, pollution-free renewable energy. Countries around the world are embracing this technology. However, locations where energy production from these two sources works best are in potentially harsh environments. Power generated from solar and wind sources use sensitive electrical components and batteries that if exposed to the elements cause system failure. Only a concerted effort of engineering and manufacturing can ensure consistent operation by designing an enclosure capable of protecting from the elements. Precision Metal Industries (PMI) is pleased to contribute to energy independence by protecting solar and wind components through the fabrication of enclosures engineered to withstand harsh environments. 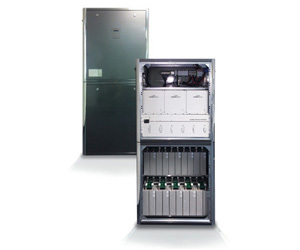 Our expertise in manufacturing enclosures extends to several industries including energy. Furthermore, it is backed by 26 years of fabrication and design success. The wind/solar enclosure has one primary goal and that is to protect the batteries from the outside environment. This may sound simple on the surface however; there are many considerations before arriving at a finished product. Two major considerations are accessibility and flexibility to meet changing technological requirements. 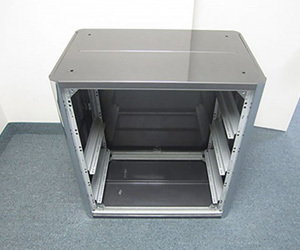 Because these storage enclosures are located in potentially harsh environments, the design must allow for easy access to batteries and components while still protecting the contents from weather and the potential from vandalism. We factor all of these design considerations and test all possible scenarios before proceeding. This results in a detailed production process, and ultimately quality product manufacturing. 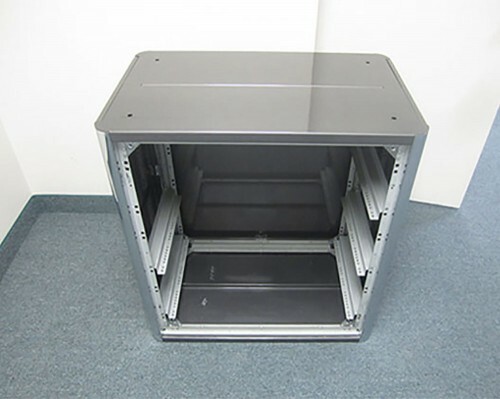 Manufacturing an enclosure involves much more than forming materials into the desired shape. Our engineers invest significant time understanding the application’s use. The outcome of this preplanning result in an enclosure with tight tolerances and all components functioning as intended. Material selection is critical. Most enclosures for wind and solar applications are located outside, exposed to many different weather conditions. This means the material used must withstand temperature extremes, excessive humidity and dryness in addition to wind, rain and multiple variations of snow while still maintaining a finish resistant to corrosion. Here at PMI, the success of every product is laid upon the foundation of metal fabrication and materials knowledge gained through 26 years of hands-on experience. You can learn more about this product, or the processes we use to manufacture it by contacting PMI today.